Honda Motor Company (HMC) is planning to recall 72,115 of their City Sedans in India in order to replace defective switches of the power windows. This is one of the biggest recalls ever by the manufacturer during a time where the Japanese car manufacturer is facing a tough time in India even though it’s recorded a strong growth here for years. HSCI (Honda Siel Cars India), a subsidiary of Honda Motor Company, told the ‘recall drive’ initiated was due to a faulty defect in the power windows in the cars manufactured from 2005-2007 globally. It is to be noted that they did recall 8,532 2nd-generation Citys in 2010 January, the manufacture year being 2007, to replace switches of the power windows again. A spokesman from Honda Siel Cars India told the replacement drive was initiated by Honda Motors in order to ensure strict quality maintained for all its products and that there were no incidents reported regarding the defects here in India. Senior Vice President, Honda Siel Cars India, Sales and Marketing, Jnaneswar Sen iterated that each time they had done recalls of products or its upgradation, they had made it proactively. Replacements in the power window defect would be done free and owners of the cars having the defect will be notified and contacted by Honda Motor Company. Honda tells dealerships of the company had been told about the recall and replacement and the parts to be replaced are being distributed and dispatched in stages for timely and smooth execution. Officials from the company further told that costs would be free and borne by HMC (Honda Motor Company), and there was no loss incurred at HSCI. Parts to be replaced would be imported in batches from Japan. HMC (Honda Motor Company) did clarify that 3rd-generation Citys, which currently are sold here in India, are not affected and not requiring any replacements as of now. They further clarified saying the recall globally at present is not impacting the sales of Honda CRV and Honda Jazz in India. Honda Motor Company did have to slash its City’s prices to make up for decline in sales, although they did dominate for a decade in the mid-size sector. 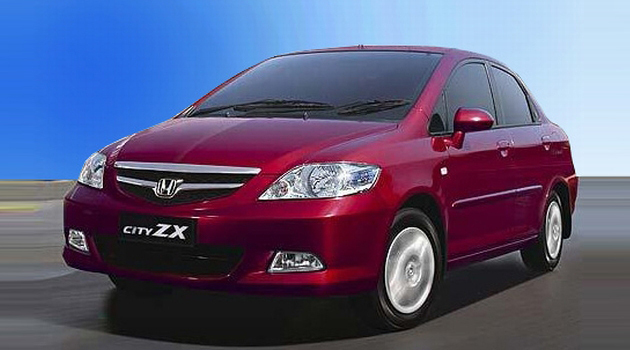 They also had to slash Honda Jazz’s price to make up for its slump in sales, which is now seen picking up slowly. Globally, HMC is recalling 9,62,000 cars in order to repair the faulty power windows and defective computer systems. The cars recalled are Fit hatchback also known as Jazz here in India and Fit Aria also known as City here in India and CRV crossover. Cars are to be recalled from Asia, North America, Africa and Europe. HMC says the recall was due to defective power window switches, which posed the danger of melting and eventually catching fire. Other manufacturers to have recalled cars for timely replacements in defects are Tata Motors and Maruti Suzuki. Experts feel the move is indeed a responsible one undertaken by Honda, but would be seeing a mixed reaction in India.